Energetic. Passionate. Driven. These are just a few words to describe Christine. 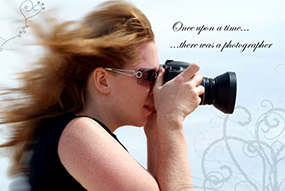 Christine is a Commercial Photographer and native of Cleveland, OH where her passion for photography was recognized at the early age of 15. Today she has over 20 years in the field and is known by her peers to be a tireless individual. Continuing to set the bar higher with each shoot, Christine exceeds expectations in food, lifestyle, product, and fashion photography. During her career, Christine has been a member of the Professional Photographers of America (PPA), Professional Photographers of Ohio (PPO), and was invited to sit on the Board of Directors for the Society of Northern Ohio Professional Photographers (SONOPP). Since relocating to The Pacific Northwest, she has volunteered for The American Society of Professional Photographers (ASPP), has been a member of the American Photographic Association (APA), and is currently a standing member of the American Society of Media Professionals (ASMP). A seeker of adventure – Christine continuously explores the Pacific Northwest and calls Seattle, WA her home.